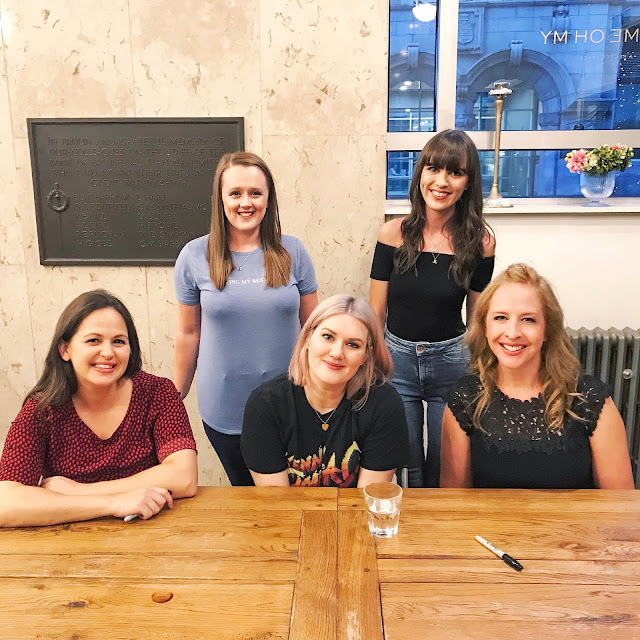 Last week, Emma and I attended an author evening at Oh Me Oh My in Liverpool to hear three of my favourite authors Lindsey Kelk, Giovanna Fletcher and Paige Toon speak about their new novels. It was an evening full of laughter, prosecco and books (lots and lots of books!). I've never been to an author event before but when I found out that three of my writing inspirations would be touring together, I knew I couldn't miss it. I've been reading Gi and Lindsey since I was around 15 years old and started to read some of Paige's books in college. It sounds cheesy but the three of them inspired me to pursue my passion for writing at university and gave me the confidence to write in the genre that I love. I'm pretty sure that my lecturers were fed up with me going on about how much I love them (sorry Sarah!). Oh Me Oh My was the perfect venue for the event. 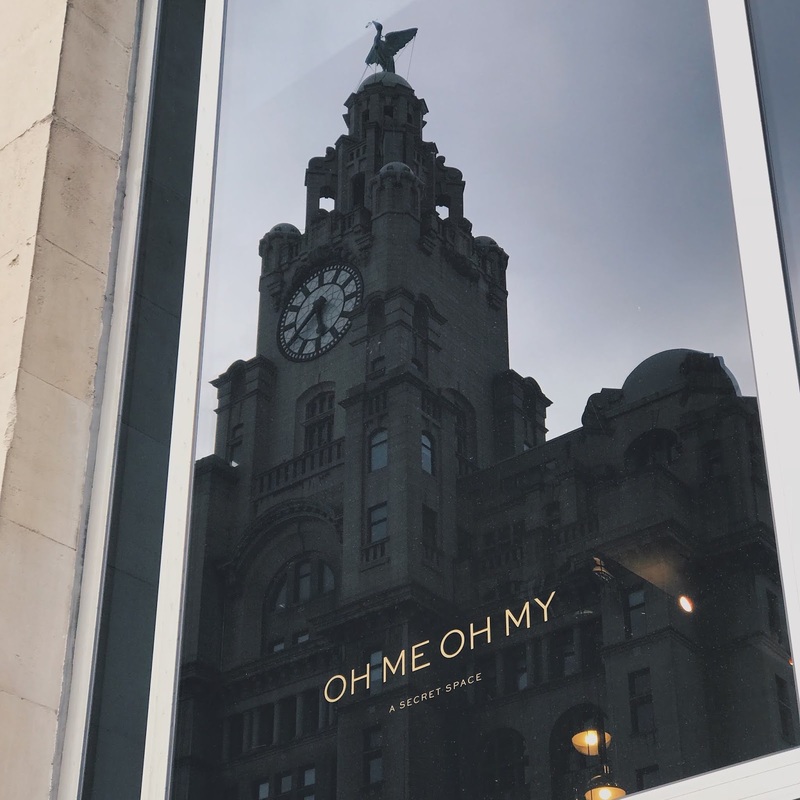 Located just opposite the Liver Building, it provided the perfect chilled out atmosphere and the most beautiful views of the city. I've been here once before for my graduation ball and I'll definitely be going again. As we waited for the authors to start their talk, all I could think about was what a perfect wedding venue it would be. The ladies spoke about books, how they get inspired and told us all about Paige's fit husband, Greg. The room was full of laughter from the minute they started talking and it's very clear that they all get along so well. I want to be part of their girl gang! The audience had an opportunity to ask them some questions and one particular topic mentioned was the 'chick-lit' genre. As a writer of chick-lit, I can confirm that it gets a lot of bad press. Critics class it as an 'easy' genre to write and although for some that might be true, let me tell you now that it is in no way 'easy'. In the words of Gi, who wants to sit there and read a book full of big words that you don't understand? People want to read something real and from the heart, something they can pick up, open on any page and understand what's going on. Just listening to them talk about the genre made me so proud to be a writer of chick-lit. That's going to be my new life motto. We then had the opportunity to go and get our books signed. I took one book from each author, although I wish I would've taken more because I have quite the collection at home. The ladies were even lovelier in real life and I know I was a rambling mess when it was my turn to speak to them. I basically just thanked them for my degree and inspiring me to write. They are three of the loveliest people I've ever spoken to. I left Oh Me Oh My feeling inspired. Hearing them speak about their passion for writing and being in a room full of avid readers, like myself, made me feel so content. I came out of that talk feeling more inspired than my entire degree made me feel in three years. If you're yet to read anything by Paige, Lindsey or Gi then I highly recommend grabbing one of their books. I promise you won't regret it. Hopefully one day I can have a novel of my own on a bookshelf next to theirs!